ArtyFartyAnnie: Re: Throwing Caution to the Wind! Re: Throwing Caution to the Wind! 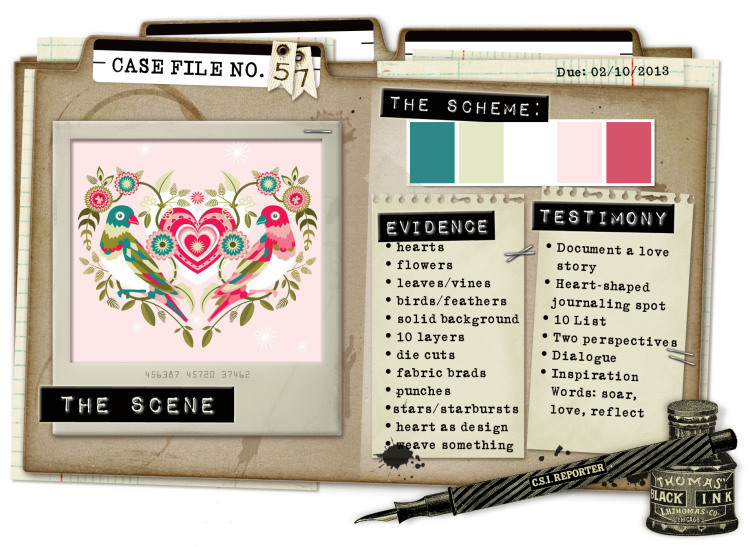 On the second week of each month, you also have to use a sketch by the amazing Emma Stafrace (I first noticed her work in Scrap365 and always lover her pages) and every single week there is a set of CSI Coordinates to help you solve the Case (accents, images, journalling spots and background papers which you can download and print off or use for digi-scrapping if that's your thing) - these are designed by the talented Michele Singh for CSI members. Ok, so now I'm going to show you a bad photo of my feeble attempt at this Case File and then I'll try to explain ... ! 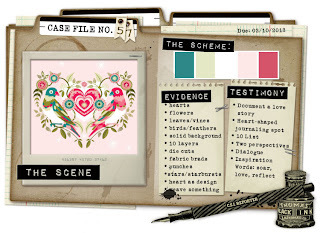 I thought the colours and theme would be a perfect opportunity to finally get around to doing something with all the lovingly hoarded emails John and I sent back and forth to each other during the very early days of our whirlwind romance. I always think it's just like my Granny would have kept love letters tied with ribbon in an old biscuit tin or something, I've kept mine in a Hotmail folder, but that's not very romantic is it? I really can't believe it - I'm almost embarrassed to see this featured amongst so many really GOOD pages - having said that, it's made my day and that won't stop me proudly displaying my Star Witness badge on this blog! What a show-off :o) Also, I think there is a prize involved ... as I said in my previous post, my lucky star really is shining at the moment. 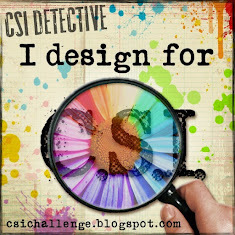 Thanks for looking and if you haven't already, check out CSI - it's brilliant and it's all free!